My usual audience is well aware why I am qualified to review Gabriella Coleman’s book, Coding Freedom , but since I suspect this post might reach a bit beyond my usual audience I will restate the obvious. I have been operating as the hacker culture’s resident ethnographer since around 1990, consciously applying the techniques of anthropological fieldwork (at least as I understood them) to analyze the operation of that culture and explain it to others. Those explanations have been tested in the real world with large consequences, including helping the hacker culture break out of its ghetto and infect everything that software touches with subversive ideas about open processes, transparency, peer review, and the power of networked collaboration. Ever since I began doing my own ethnographic work on the hacker culture from the inside as a participant, I have keenly felt the lack of any comparable observation being done by outsiders formally trained in the techniques of anthropological fieldwork. I’m an amateur, self-trained by reading classic anthropological studies and a few semesters of college courses; I know relatively little theory, and have had to construct my own interpretative frameworks in the absence of much knowledge about how a professional would do it. Sadly, the main thing I learned from reading Gabriella Coleman’s new book, Coding Freedom , is that my ignorance may actually have been a good thing for the quality of my results. The insight in this book is nearly smothered beneath a crushing weight of jargon and theoretical elaboration, almost all of which appears to be completely useless except as a sort of point-scoring academic ritual that does less than nothing to illuminate its ostensible subject. This is doubly unfortunate because Coleman very obviously means well and feels a lot of respect and sympathy for the people and the culture she was studying – on the few occasions that she stops overplaying the game of academic erudition she has interesting things to say about them. It is clear that she is natively a shrewd observer whose instincts have been only numbed – not entirely destroyed – by the load of baggage she is carrying around. 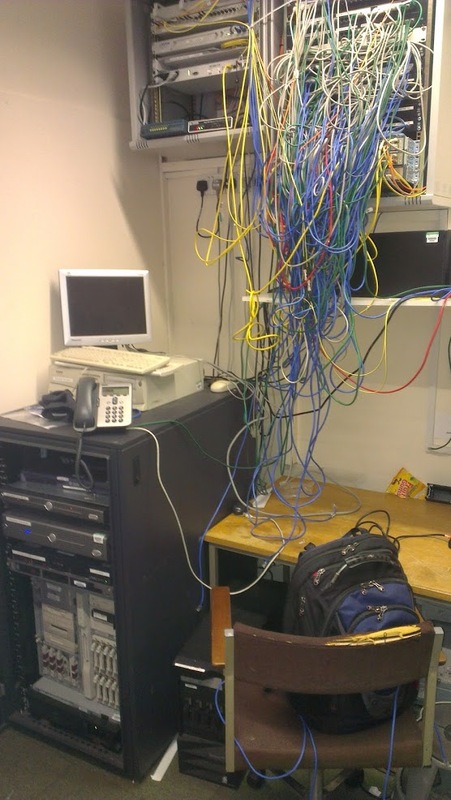 A hideous tangle of network cable. For those of you who have been following my work on tools to muck out the swamp that is CVS, a new shovel: cvs-fast-export. Note, this is an alpha release for testing purposes; double-check the quality of any conversions you do with it carefully. Reposurgeon Killed The Radio Stars! The 2.13 release of reposurgeon has in it maybe the coolest new feature I’ve ever implemented in five minutes of programming – graphical visualization of a repository’s commit DAG. Last month I added CVS-reading support to reposurgeon. The reason I haven’t blogged in ten days is that this pulled me down a rathole out of which I am just now beginning to emerge. And now I have a a request for help – I need to collect some perverse CVS repositories, preferably relatively small ones.